Give your bulletin board displays a classic look with simple and stylish border trim. Each of the Stars Painted Dots straight borders features black dots scattered across a white backdrop for an artistic style. 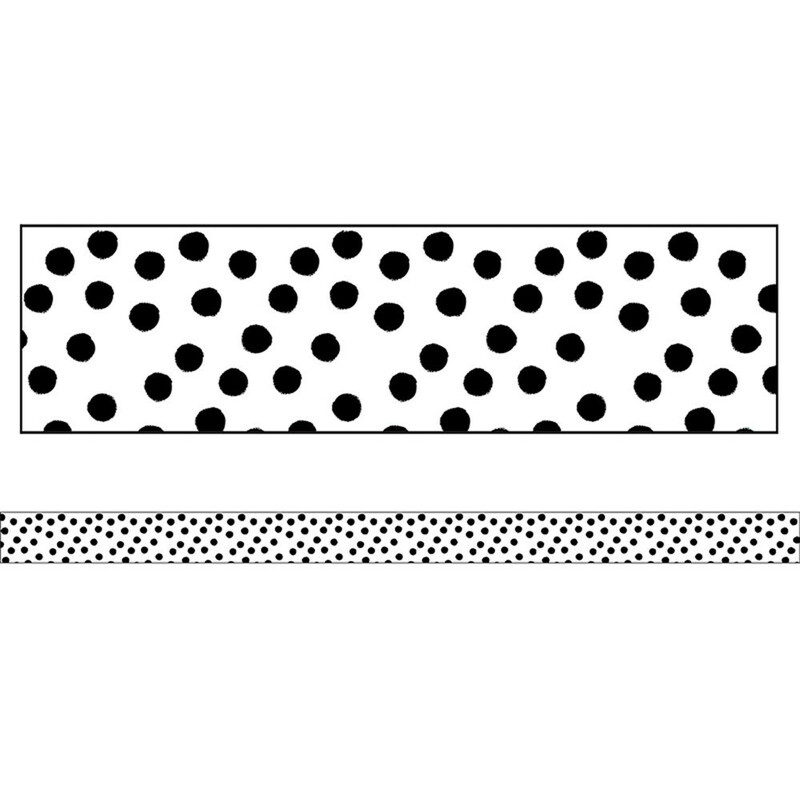 The pack includes 12 border strips, each measuring 3' x 3" for a total length of 36'. Looking for something similar? 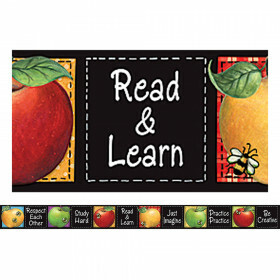 View our Classroom Bulletin Board Borders and Trimmers or Classroom Decorations sections to find more teacher supplies items similar to Stars Painted Dots Straight Borders School Girl Style.